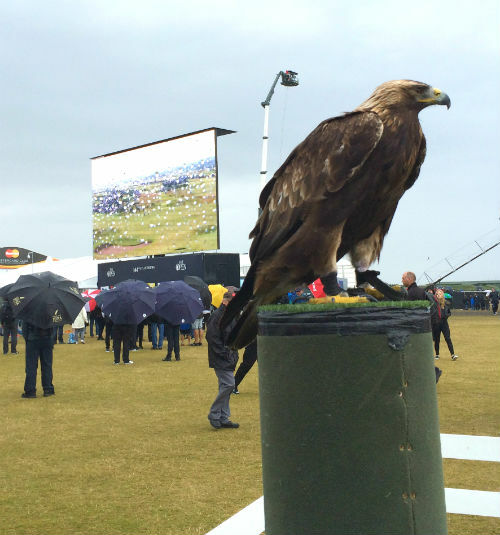 I had a great day at St Andrews for the delayed final round of The Open. This was the only eagle I saw. Kim Phuc was the young girl famously photographed during the Vietnam War running from a napalm bombing. The remarkable story of her journey to forgiveness is told by Paula Newton and Thom Patterson. Harriet Alexander reports on how an idea in Scotland is now feeding a million children around the world. Assuming all the necessary caveats about Christianity and politics, and Christian celebrities, I'm still rather stunned by Liberal Democrat leader Tim Farron preaching the gospel. What can we do about the scourge of seagulls? worries Helen Rumbelow (£). If you're a Christian and not sure when you should open your mouth and when you shouldn't, here's some good advice: Ray Ortlund considers when to cover and when to confront, and Jon Bloom outlines how to comment on the internet. If you didn't make it to Latitude Festival this year, fear not, because Tom Careless did and can give you the low-down on 29 acts. 29! If you haven't travelled through the solar system and want to get a sense of how big it is, Josh Worth has created a "tedious accurate" map which works on the scale of the moon = one pixel.